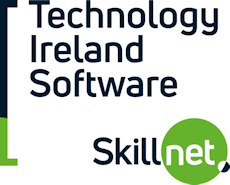 Please note that Software Skillnet will kindly be supplying tea, coffee and sandwiches for the event. Performance analysis on financial software is massively complex and challenging. This is the story of how Murex started to use SPLUNK to help debug performance problems (Murex is a world leader in trading platforms used by financial institutions). Robert is the SPLUNK Global Manager, with responsibility for the architecture and system administration. He introduced SPLUNK in 2014 because the current tools were inadequate for analysis. Based mainly in Dublin, Ireland, Robert has spent 13 years investigating non-functional mission critical problems for some of the largest financial institutions (200+ clients). He knows how to manage complex analytics. Financial institutions produce a lot of data and knowing how to investigate a problem quickly is essential. Robert has taken this skill set and has applied it to producing user-specific dashboards and has brought about change at Murex. Robert also teaches SPLUNK development to other teams. In parallel he takes on-board new user stories for future development. For 6 months in 2015 I embarked on a real-world experiment. What would be required to make a complex real-world UI more testable? What would that mean for the existing developer and QA roles and relationships? This journey threw up many challenges – both technical and human – and revealed a number of insights. This example will be used to illustrate the dramatic role new skills and practices can have on the evolution of an existing complex, functionally-rich module. While such changes involve trade-offs they can have an enormous impact on testability and quality – from UI testing to end-to-end acceptance testing to unit testing. Such practices also empower cross-functional teams, leading to new opportunities as well as challenges. Gareth Hurley has 15 years of experience as a software developer at Murex. Based on his experiences of leading a client-support maintenance team he developed a strong interest in software testability and deeper questions about quality. Along the way he has managed development teams, a manual testing team, developed an automated test framework and introduced new testing collaboration tools. His current role involves working with developers across the organisation, promoting best practices to drive greater efficiency and quality.